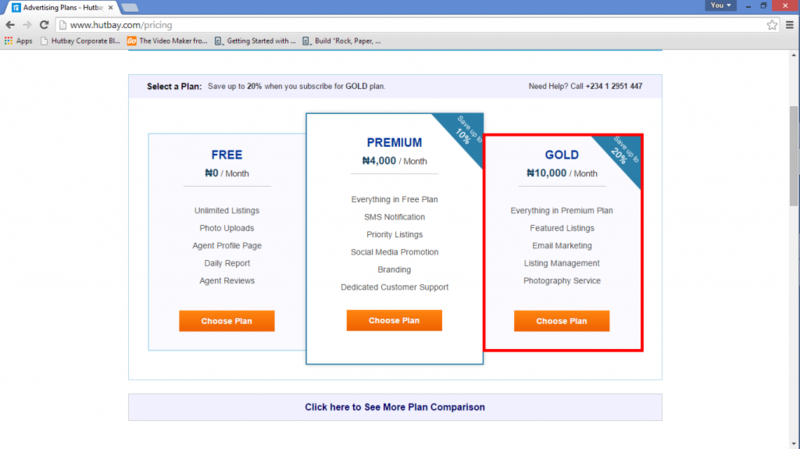 /Billing & Subscription /What I do get when I opt for the “GOLD” plan? Put up as much listings as you like. Put as much as 15 photos per listings. Get a personalised agent profile page. Get Listed as a Featured Agent. Get a company profile page (Hutbay style personalised website) for your company without ads.